Our creamery is certified organic by Vermont Organic Farmers (VOF) and we strive to make rich, delicious cheeses that we hope you will enjoy. 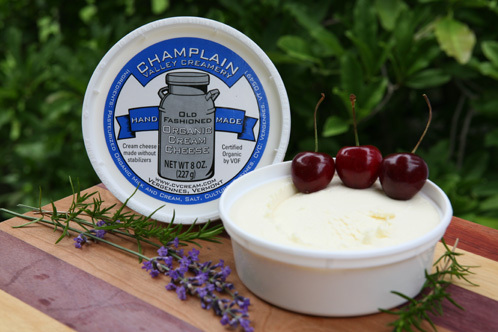 For many years, we offered two products: Organic Champlain Triple and Old Fashioned Organic Cream Cheese. Slowly we’ve expanded our line of offerings to include Organic Queso Fresco and Organic Queso Anejo, two part-skim cheeses. More recently, we started playing around with our triple cream and added Pyramid Scheme to the mix. We’re always experimenting with new products and hope to feature more cheeses soon. 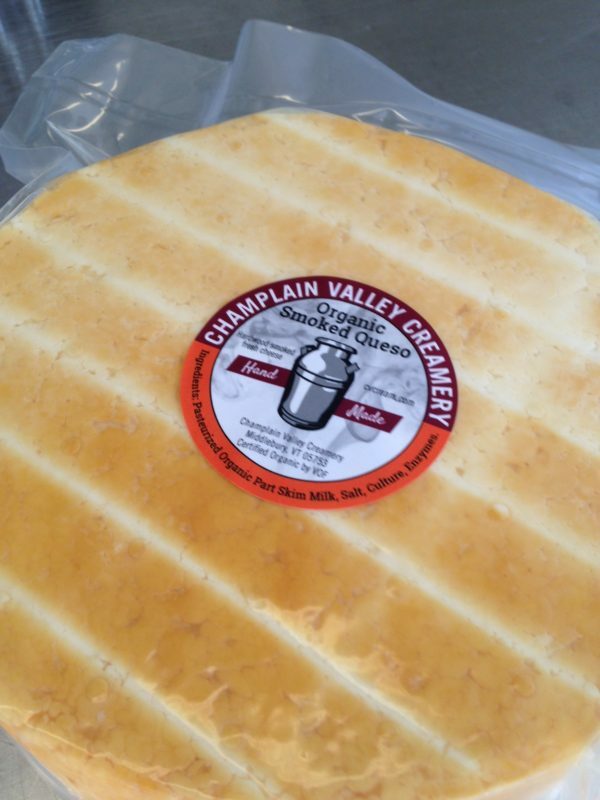 Organic Champlain Triple is a beautiful soft ripened triple creme with a bloomy white rind. Produced from cultured whole milk and cream, Champlain Triple is hand ladled into traditional crottin molds and aged approximately 10 days. 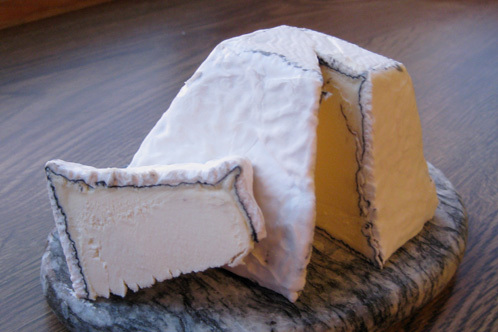 It has a rich, creamy interior flavor that is offset by a delicious earthy rind with hints of mushroom. 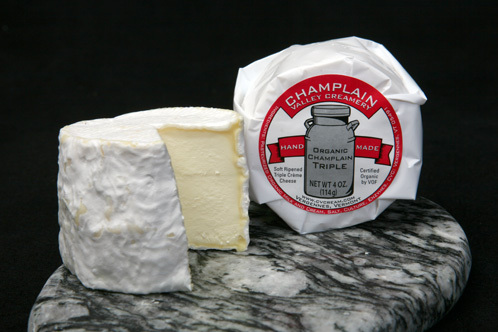 Organic Champlain Triple is a must-have for any cheese plate. Old Fashioned Organic Cream Cheese is made without stabilizers or preservatives from cultured fresh organic cow’s milk and cream. It has a perfect balance of creaminess and tanginess that is unlike any other cream cheese you’ve tasted. It’s great on a bagel, on sandwiches, baked in your favorite dessert or simply on its own. 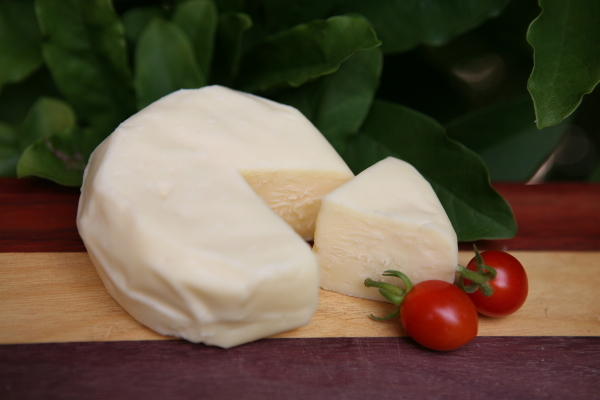 Queso fresco is a traditional Mexican cheese and is a quintessential part of Mexican cuisine. The name queso fresco means “fresh cheese” in Spanish. In October 2011, we launched Organic Queso Fresco, a soft and mild part-skim cheese with fresh milk flavor and a little bit of acidity to give it some zing. Organic Queso Fresco shreds and melts nicely making it a perfect topping for tacos, pizza, burritos, salads and anywhere you use mozzarella and other fresh cheeses. We built a smoker and began hickory smoking our Queso Fresco to create our Smoked Queso. It’s great for snacking and cooking, anywhere a hint of smokey flavor would be desired. Put on tacos, pizza or eat on it’s own! Available in 4 pound wheels and 8 oz retail wedges. Pyramid Scheme is our pyramid shaped triple cream with a layer of vegetable ash between the paste and rind. Both the shape and ash layer change the ripening of this cheese you get even more of the creamy, grassy flavors of the milk. You don’t see the ash until you cut into it. It’s truly a gorgeous cheese. 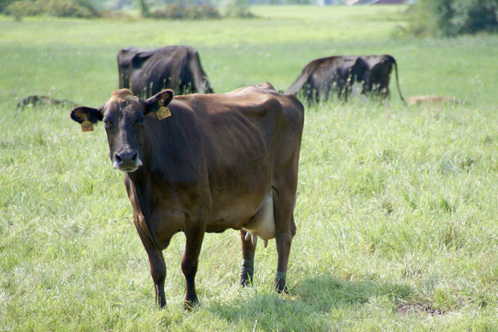 It all starts with happy, local cows at Blissful Organic Dairy in Bridport, VT. View our process to learn how our products go from farm to your table.